Branding: In Five and a Half Steps. »Michael Johnson is one of the world s leading graphic designers and brand consultants. His studio, johnson banks, is responsible for the rebranding of many notable clients, including Virgin Atlantic, Think London, BFI, Christian Aid, and MORE TH>N, and he has garnered a plethora of awards in the process. 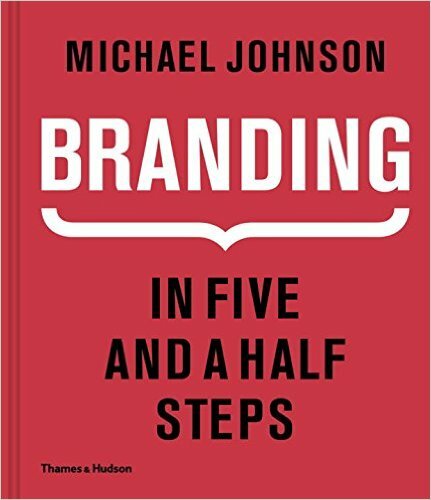 In Branding, Johnson strips everyday brands down to their basic components, with case studies that enable us to understand why we select one product or service over another and allow us to comprehend how seemingly subtle influences can affect key life decisions. The first part of the book shows how the birth of a brand begins not with finding a solution but rather with identifying the correct question the missing gap in the market to which an answer is needed. Johnson proceeds to unveil hidden elements involved in creating a successful brand from the strapline that gives the brand a narrative and a purpose to clever uses of typography that unite design and language. Städte und ihre Zeichen: Identität, Strategie, Logo. The Brander: Marken und ihre Macher. Do You Matter? : How Great Design Will Make People Love Your Company.